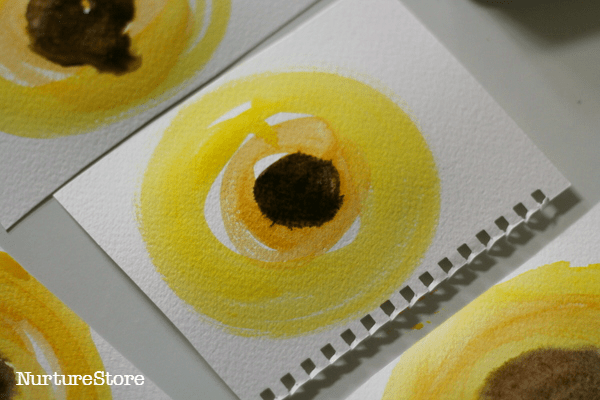 In this art project we’re taking inspiration from nature and using an interesting combination of watercolour paint and fine markers to create pretty sunflowers. Sunflowers are a magnificent plant to grow in your garden. They’re easy to grow, statuesque, and beautiful, and as they are loved by bees, they are very beneficial too. They are an excellent choice if you want your children to experience a full cycle of starting something from seed, seeing it grown almost in front of their eyes, and harvesting their own sustainable seeds for planting the following year. Sunflowers are one of the ‘Five Favourite Plants to Grow’ that I picked in my book The Garden Classroom. The ones in our garden classroom at home are at their most majestic right now. Just look at that amazing pattern of seeds surrounded by the yellow petals in the photo above. Really something of the marvellous, and a great invitation to try some art inspired by nature. We used some of our favourite art supplies to create our sunflower pictures. These water colour paints in a tin are great for taking out into the garden. 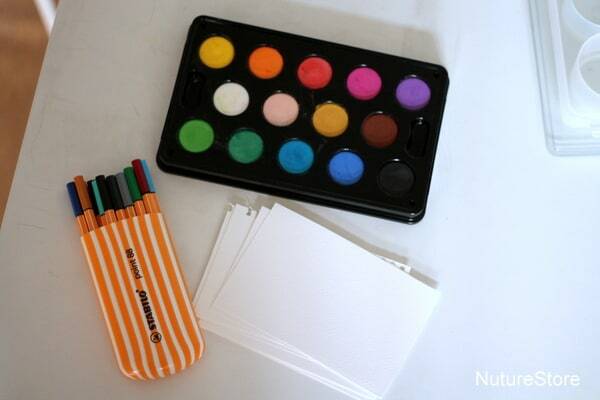 These Stabilo pens come in their own pen case and are great for adding details on top of the water colour paints. And these water colour pencils are really good for children to use as you can get the detail you want and the watercolour effect. Start by taking a good look at the sunflowers, talking about their colours and patterns. You can use a magnifying glass to get a really close-up look. 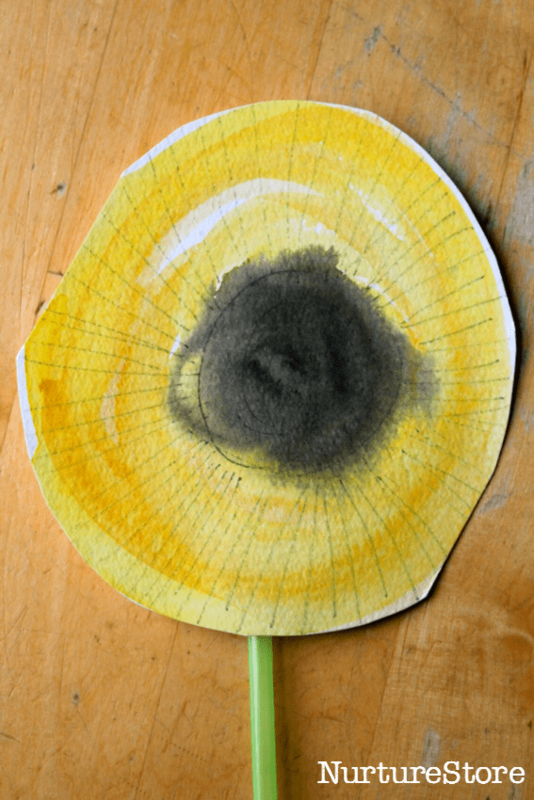 In contrast to the detailed ‘copy-work’ we tried when we were learning about daffodils, for our sunflower pictures we decided to try to capture the simple essence of these flowers: their swirling, circular shape, and their gorgeous yellow colour. 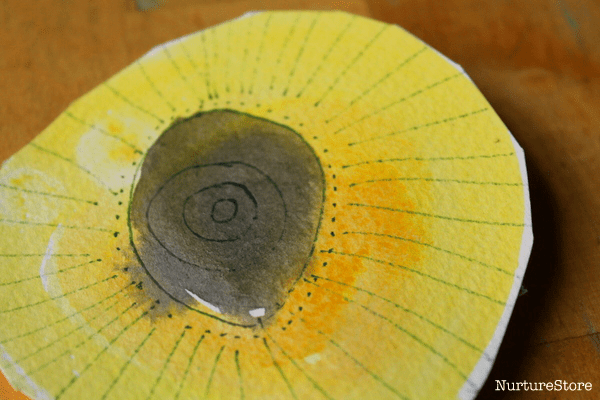 We began by using our paints to make loose circles on our watercolour paper. 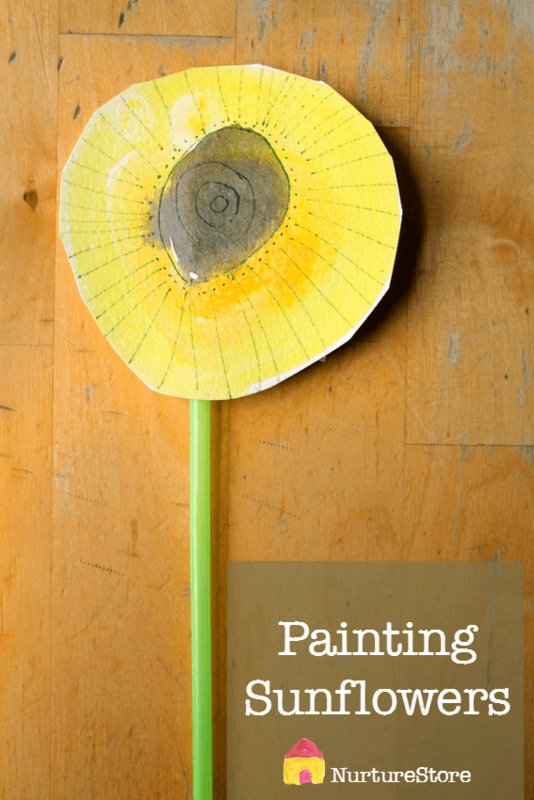 We used a few different shades of yellow paint, adding more and less water to see which effects we liked the best. We filled in the centre using black and brown watercolours. Once the paint was dry, we added detail on top using the Stabilo fine markers, in black and brown. 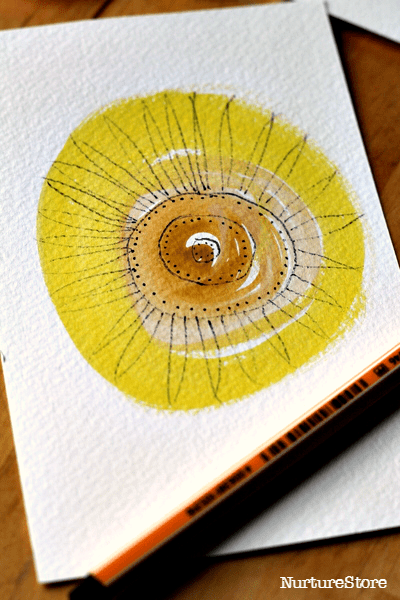 Using proper watercolour paper, or a quick blast with a hair dryer, can speed up the drying time so you can add the details without having to wait very long. We tried out a combination of dots, circles, spirals and lines to add detail. 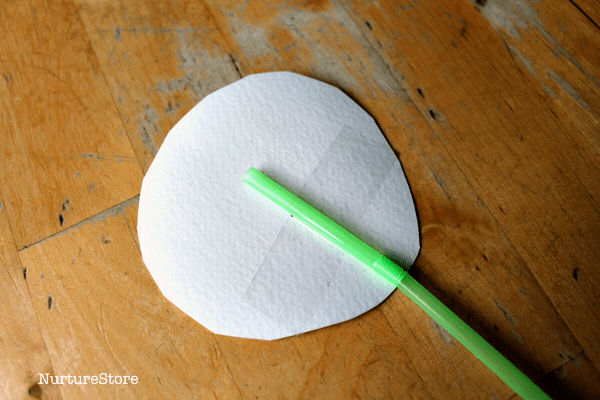 Finally, we cut out the sunflowers and popped a green drinking straw on the back, held in place with sticky tape. 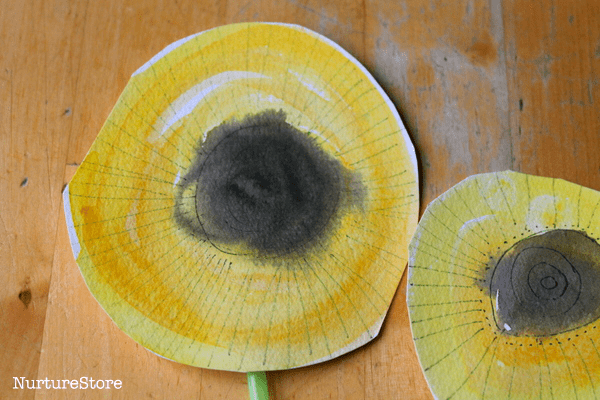 I love the effects we created, especially on the flowers where the dark centre ran into the surrounding yellow a little. The finished flowers are great to display on the wall or in a vase. They make pretty bookmarks, and they’re fun to use in a fairy garden or for small world play. 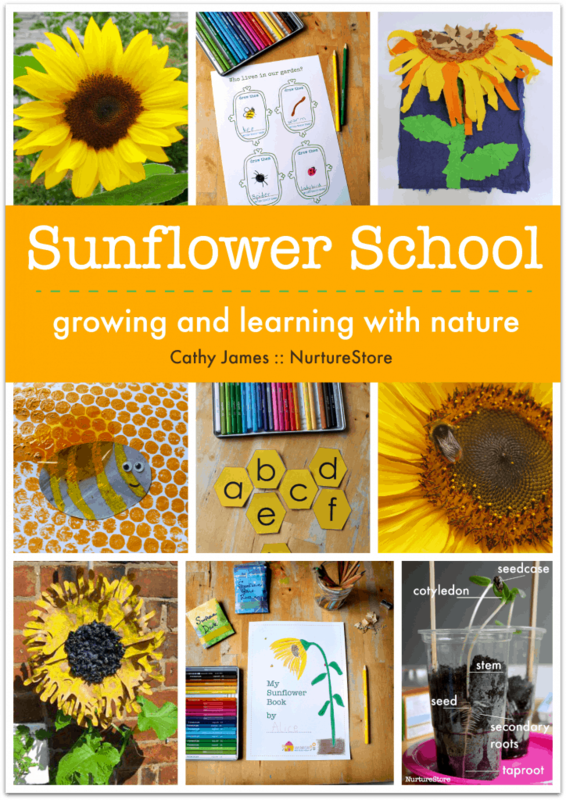 Click here to download your copy of the Sunflower School curriculum. 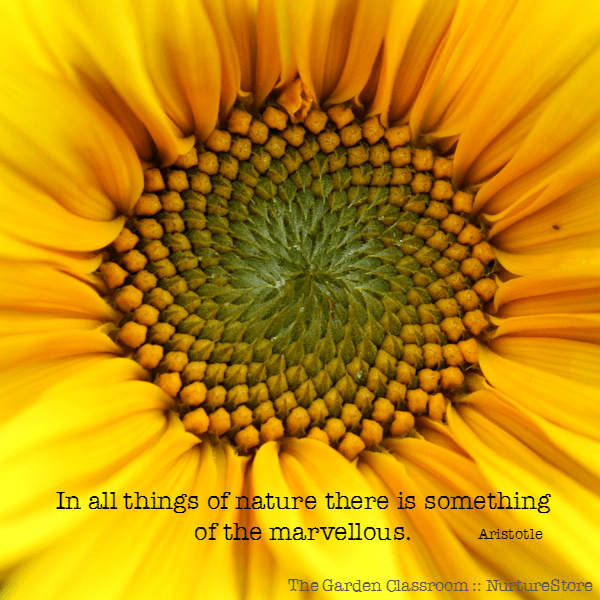 The Sunflower School curriculum matches a full programme of learning to the natural growing cycle of sunflowers. :: In the spring we’ll focus on planting and watching our plants grow. :: In the summer we’ll learn about bees and pollination, and celebrate the gorgeous blooms through art. :: In the late summer and early autumn we’ll turn our attention to harvesting, sustainability, and closing of the growing year. 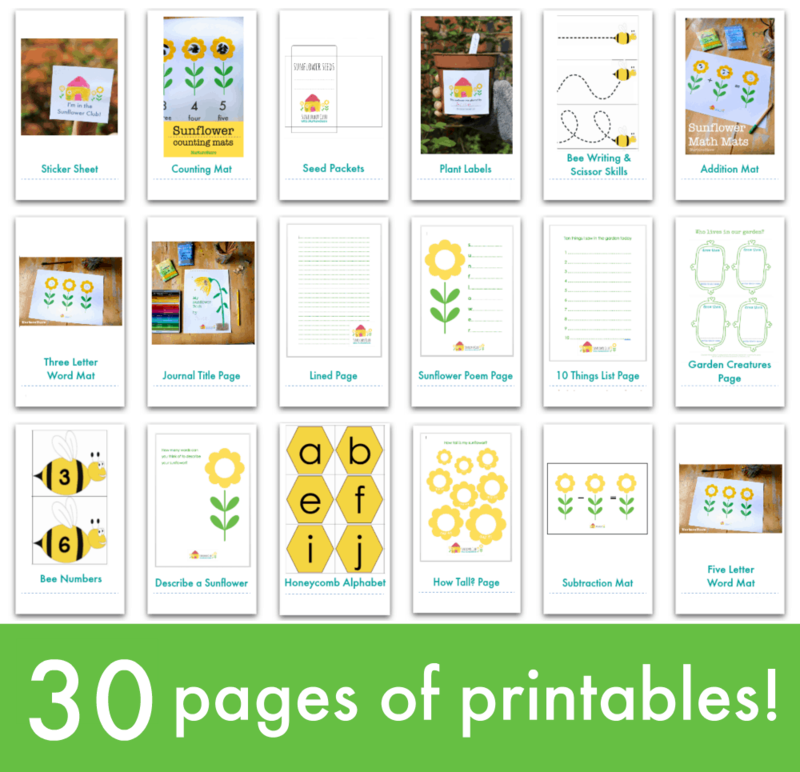 Click here to download the complete set of Sunflower School resources.